Written in both Shona and Ndebele, the colorful children's book is based on a popular Ndebele nursery rhyme. When her nephews and nieces were born, Nomusa Ndebele was eager to purchase them books that would teach them their native tongue and culture. It's a language that she shares a name with—Ndebele. But she struggled to find many Ndebele children's books and the ones she could find were Eurocentric books whose images, characters and languages did not reflect the realities of her nieces and nephews. It was that experience that led her to establishing the media and entertainment company called saanrize with her friend, Carol Dzingai who also shared her frustrations. Ndebele recently penned Thoko Vuka! Thoko Muka! which was published by saanrize. 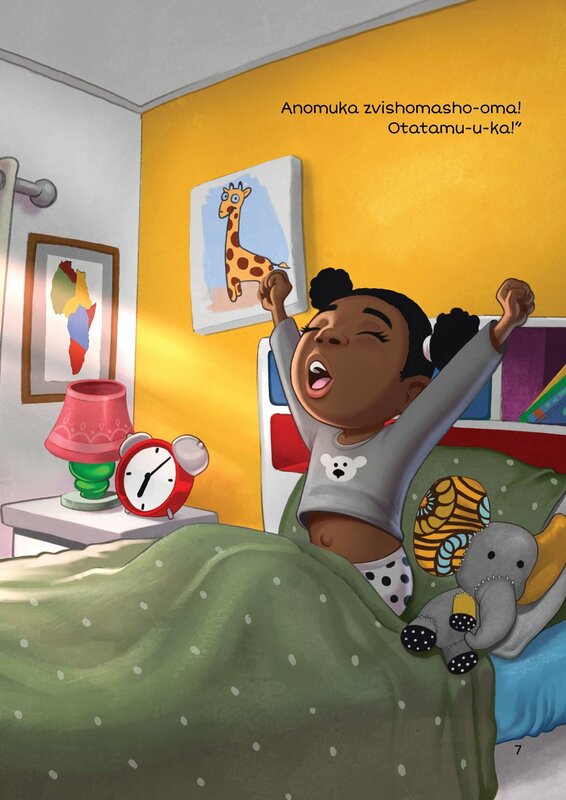 The book, which is the first of a series, tells the story of a little Zimbabwean girl named Thoko is living in the diaspora with her trusted sidekick "Zou-Zou", a stuffed elephant that represents her family's totem. 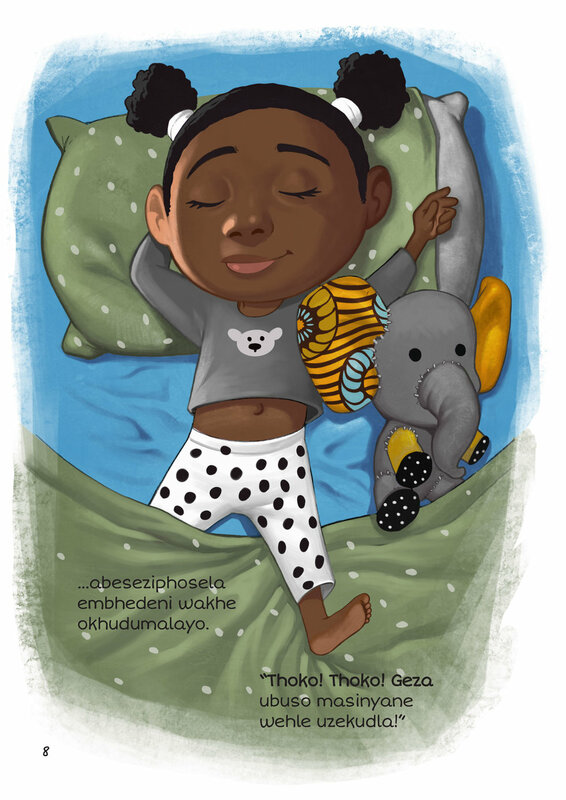 Thoko goes on a myriad of adventures with her stuffed elephant and both learn about Zimbabwean culture and African heritage in a fun-filled way. Speaking about her children's book, Ndebele says, "We believe that our African languages matter, our African heritage is worth preserving, our stories are worth telling. So we should tell them, especially to our children and in our vernacular." Ndebele went on to add that, "This is why Thoko Vuka! Thoko Muka! matters. It is the first step in realizing our dream of seeing entire shops—physical and online—filled with children's books, movies, toys and games made for Africans by Africans and featuring African vernacular languages." Thoko Vuka! Thoko Muka! is written in both of Zimbabwe's widely spoken languages—Ndebele and Shona. It is particularly important for Zimbabweans living in the diaspora and often have a difficult time keeping their children rooted in their Zimbabwean heritage, especially when their kids are born outside of the country. Order the book or request that it be printed in your own language here.